Hey all! I'm testing out this new feature because I often want to share what I'm reading/watching/listening to and also talk about stuff I like that isn't in the realm of fashion or beauty. I love it when other style bloggers do this, but I don't want to go all lifestyle on you guys if you're not interested. So, please let me know in the comments if this is relevant for you. 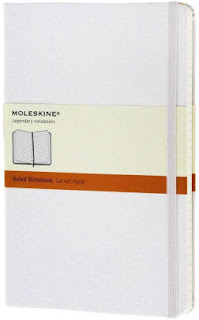 Moleskine notebooks come in white now! So deliciously blank slate! So minimalist! I AM BASICALLY A TOTALLY DIFFERENT PERSON NOW. I also got the fancy matching square white pen which I probably wouldn't have spent my own money on but it's got a special flat clippy on the lid that slides into the side of the notebook and it's all very, very satisfying. I should also mention how much I like the pale sunny yellow version of the notebook. Dammit. Lately I've been listening to podcasts instead of music on my commute and one of my favorites is SRSLY, a pop culture podcast from The New Statesmen. It's hosted by Caroline Crampton and Anna Leszkiewicz, the NS’s web editor and editorial assistant, both of whom are smart and insightful. I like that it's British because I find out about shows that I might never otherwise hear about and they have a very English brand of sincerity that I enjoy. They also do funny specials, like this one about the movie Love Actually. I look forward to it every week. That's it! I'll include this feature weekly if you guys are interested, so please let me know. I love this! I'm always excited about when you publish book recommendations because I feel like we have very similar book taste...and I just recently got into podcasts so am loving the helpful suggestion on that front too! I like it! Keep it coming. This was very fun - I'd love more like this, thank you!! I love podcasts, and am always interested in learning what other people like. 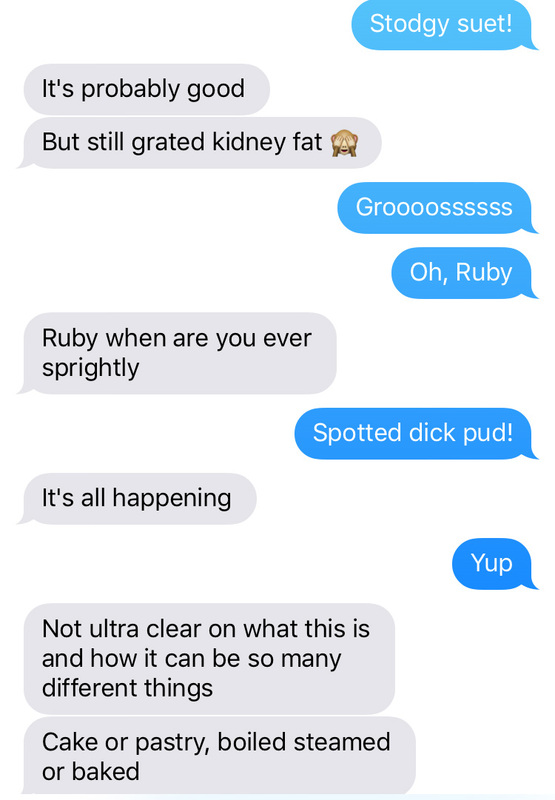 I'm loving the black tapes podcast lately! Yes! This kind of weekly update is fantastic! Please continue! If you like Moleskine notebooks, try a Leuchtturm1917 - all the bullet journalers swear by them (and I use one myself). Dang it! There's also apparently a "pro" version of the Moleskine I bought that has listy pages and tabs and other stuff. I want that too. I also love this kind of post! Thank you for informing me of (and linking to photos of) the stone foxiness of the author of The Underground Railroad. I listened to the audiobook and was hooked. I don't feel comfortable saying I "loved" a book about slavery, so... it was deeply unsettling, very well-written, and something I'm glad I read. Love this feature. And I'm in Canada, but I, too, really enjoy SRSLY podcast! 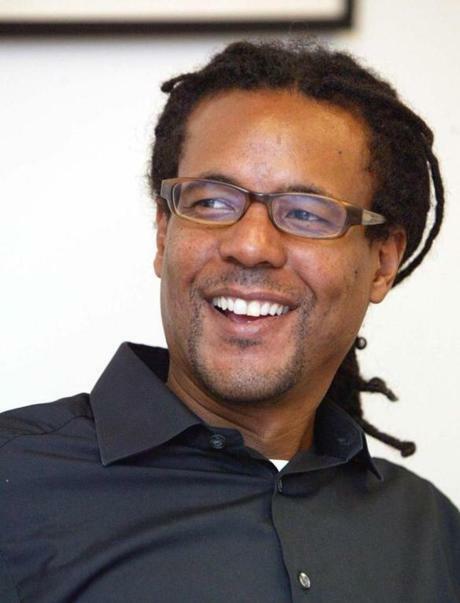 Colson Whitehead was the keynote speaker at a book festival I went to recently and he's also funny as hell. Stone fox + funny = my kryptonite. I enjoyed this! Also, when Gentleman Caller worked at the NYPL he stewarded Colson Whitehead around at a book festival, and can confirm that Colson is a total sweetheart in addition to being a looker. Dang it. My crush deepens. I also love this sort of post! Two other great podcasts (given that I think we share similar political views? ): The Weeds by Vox (deep dive on policy issues) and With Friends Like These (on awkward convos with Ana Marie Cox). Awesome, thanks! I was going to talk about Pod Save America next week and I just started listening to Friends Like These. I'll definitely check out The Weeds. I love it when you do posts like these! I think we have very similar taste in books, and I've gotten a number of great recs from you in the past. I'm also a big fan of podcasts, so it's wonderful to find new ones of those too. I feel as though I'm not quite organized enough for the fanciness of a Moleskine, rather I'm Moleskine aspirational. Oh, please continue! I always love to hear about good books and podcasts. The stone fox used to be a neighbor in Brooklyn and he is very funny and smart and shy and nerdy and extremely nice. Also a genius writer. I have always had a crush! But I always felt it would embarrass him hugely if I gave the slightest sign so we just talked about comic books. More posts = good, so please continue! For recommendations, have you seen Taboo (BBC/FX) with Tom Hardy (8 eps)? I've got 2 left, but have really enjoyed it.